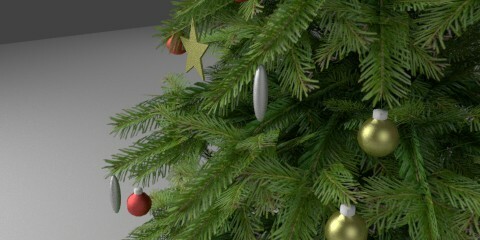 This is a Christmas tree made with planes and textures. Every branch has 10-18 polygons and every polygon is UV maped to the png texture. With this technique the render is very fast :). You can see a closer look below. 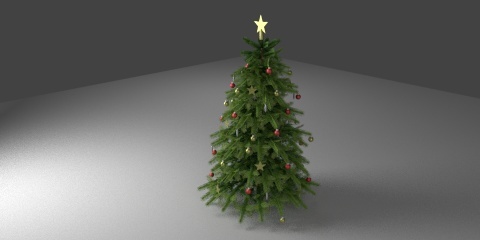 For the Sweet Home 3d model I have doubled the polygons to show the tree properly, please, try it and let me know if it works well for you. 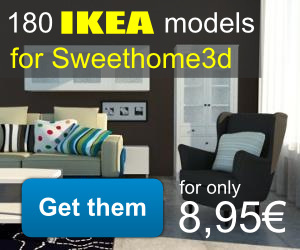 I made this model for Emmanuel Puybaret (Sweet Home 3d developer).